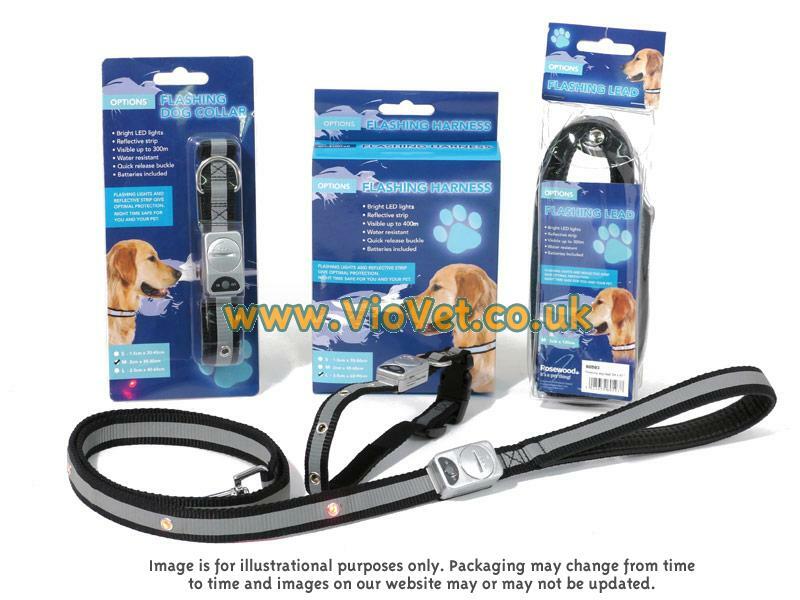 The Rosewood Options Flashing Dog Harness allows you to easily spot your dog in the dark from up too 400 metres away. The reflective strips on the harness have flashing LED lights in to really make your dog stand out. It is water resistant and comes with an easy to use switch to turn the flashing on and off. Batteries included. 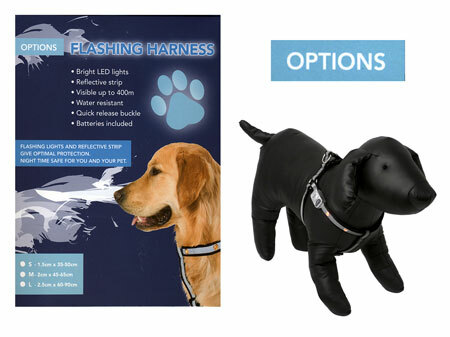 There are currently no questions for Rosewood Options Flashing Dog Harness - be the first to ask one!